Improved communication and collaboration among federal, state and local law enforcement agencies is essential to confront the “unprecedented” threats to public safety that the United States faces, FBI Director Christopher Wray said Sunday. Speaking at the annual conference of the International Association of Chiefs of Police in Orlando, Wray also cited the background noise that law enforcers face in dealing with “armchair critics.” Wray did not mention Donald Trump in his speech, but the president has made a habit of attacking the FBI as “corrupt” on Twitter. The opiate crisis. More than 72,000 Americans died from drug overdoses in 2017, “and by all accounts, the problem is getting worse,” Wray said. He urged a renewed effort to reduce the narcotics supply from China and Mexico. “This has become a national security issue that plays itself out on our streets every day,” he said. Mass violence. “In 2017 alone, there were 30 separate active shootings in the United States—the biggest number ever recorded by the FBI during a one-year period,” Wray said. Cyber security. “The cyber threat continues to grow by leaps and bounds, and the more we shift to the Internet as the conduit and the repository for everything we use and share and manage, the more danger we’re in,” he said. Wray, 51, was appointed by Trump in August 2017 following his controversial dismissal of James Comey. 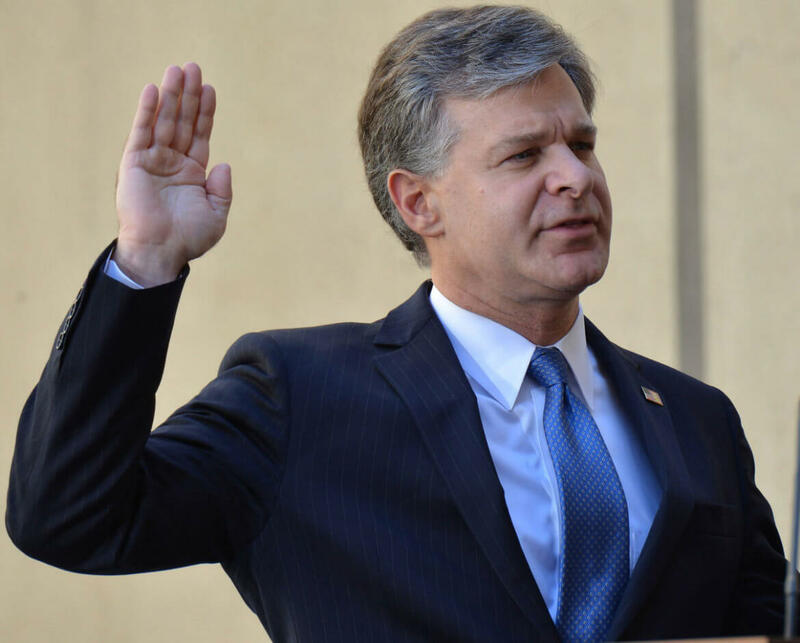 Wray, just the eighth man to lead the agency, has been buffeted by Trump’s Twitter criticisms of the FBI and the Department of Justice–and their leaders, including Wray and Attorney General Jeff Sessions. While failing to mention Trump, Wray closed with a riff on the wearying strain that detractors bring to an already taxing occupation. A new policy approved recently by a coalition of law enforcement groups endorses the use of warning shots by police to de-escalate potentially deadly confrontations. The controversial issue broke into the open this week during a national meeting of police executives in Philadelphia. “I think it’s a stupid idea,” said one attendee.